Green Infused produces organic Non-GMO CBD and CBG based products including Enhanced CBD Spray, CBD Oil, CBD Balm, and CBD Gummies. All of our products are 100% THC free and include free FedEx shipping. Our 1,500-acre farm in Eaton Colorado is dedicated to hemp production. We only use organic farming practices certified by the Colorado Department of Agriculture (see “certified quality”). We partnered with Colorado State University to develop a strain of seed with the highest concentration of CBD in the country, this is the only seed that is used. All of our CBD is sourced from our farm, nothing is imported. Guaranteeing a consistent product. The hemp plant contains more than 100 different chemical compounds known as cannabinoids, which interact with the body's endocannabinoid system. One of those cannabinoids is CBD, or cannabidiol (pronounced cann-a-bid-EYE-ol). CBD is non-psychoactive, which means it won't get you high. Other brands of CBD can be less effective as over 80% of CBD can be lost as it passes through the stomach and gets absorbed by your body. Only a fraction of the CBD in most products will ever get to those targeted relief areas. It is important for us to maintain a strict 0% THC product which we independently test. There is a big difference between ~<0.05% THC and 0% THC. Often this number is rounded down for marketing reasons. It's important to check that if you want 0% THC that you see actual toxicology/potency reports showing 0% from an accredited lab. 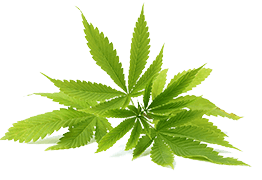 This can affect the outcome of drug screening or personal preference to avoid THC.